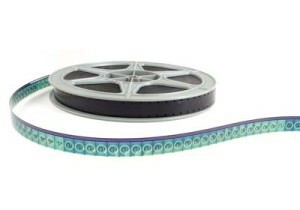 16mm Film is a format that was introduced in 1923 by Eastman Kodak, as a less expensive alternative to 35mm film. It was quickly adopted for use in the amateur film market, and later became the standard for educational, industrial, and military films as well. Initially available as silent film only, the later addition of an optical soundtrack reproduced through a speaker in the film projector helped to solidify its widespread usage for decades. For this reason, there still exists an extensive amount of footage yet undiscovered waiting to be converted and preserved into the digital realm. Hidden away in long forgotten attics, dusty basements and rarely visited industrial storage closets, lies dormant a unique perspective of our collective history. From the battlefields and skies of WWII to the backyards and childhood memories of years long past, 16mm film has stood witness for nearly a century with images of both sharp black & white and glorious technicolor. Here at Charter Oak Scanning, we have had the pleasure of discovering and preserving many interesting hours of previously unseen historical footage brought to us by customers curious to see what piece of the past those cans of film reveal. A few of the long lost scenes we’ve seen include Havana, Cuba in the 1920’s, the launching of the USS Nautilus, historical sporting events, the construction of the Hartford, Connecticut dams and spillways, as well as hurricane and storm damage of local area beaches and marinas along the Connecticut and Rhode Island coastline. As with all relics of the past, it follows that some reels of film have stood the test of time longer than others due to various factors. The method of storage and environmental temperature factors weigh heavily on the condition of film and ability to produce a successful digital transfer. Depending on the film manufacturer, certain dye types that produce the color in the film have proved to be more stable than others in retaining their brilliance. In the more unstable dyes, the cyan, magenta and yellow colors begin to fade. The magenta is the slowest to deteriorate, leaving the color film with a pinkish hue. The color can sometimes be restored digitally, or converted to black & white to preserve the image as an option. Another form of film deterioration is known as Vinegar Syndrome. This is a result of poor storage conditions where the film has been exposed to humidity and temperature changes. The chemicals on the film begin to erode and emit a vinegar like odor. As the chemicals break down, it causes the film to warp, buckle and eventually become too brittle to run through a projector. By the time the film has reached this stage however, most of the image has disappeared and is lost forever. 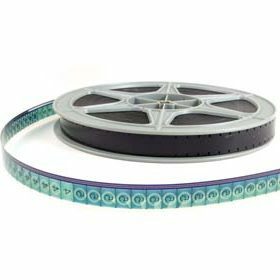 At Charter Oak Scanning, we have received many types of film in various conditions and will be happy to guide you through the process of preserving and digitizing your content while answering any further questions you may have concerning your film. Stereo Pictures What Does A Professional Photo Organizer Do Exactly?